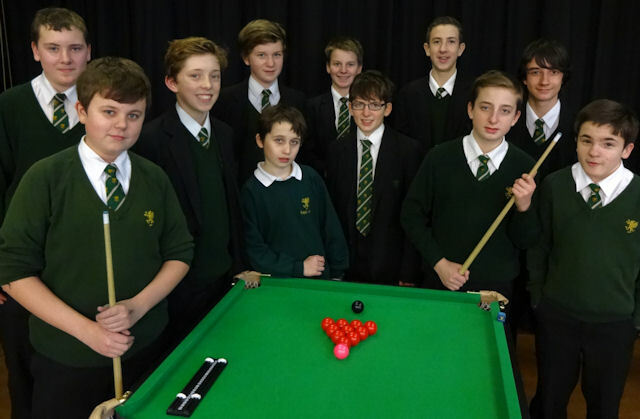 Snooker was introduced at Ralph Allen School in Bath in April 2013 and has become a regular feature of both the curriculum and enrichment programmes. Pupils are regularly offered over three hours of snooker every week, and over 60 different pupils regularly attend after-snooker school clubs. Snooker has featured as part of the STEM programme, being used to demonstrate and explore principals in Science, Technology and Mathematics. It is also regularly offered to both boys and girls as part of the Year 10/11 Core PE programme. Snooker has proven to be a very popular option during the school’s ‘Wednesday Window’ enrichment programme where pupils opt in to participate in a variety of activities not normally offered in the curriculum. Regular visits to the Keynsham Snooker Centre (where Judd Trump played as a junior) have proven extremely popular and as a next step the school hopes to form a link with local WPBSA coach Bob Hill so that pupils can take part in the Level 1 WPBSA World Snooker Coach Award. Everyone at the school is very much looking forward to the ‘Steve Davis’ snooker day!